Not sure about everyone else but I am frequently receiving promo requests from folks with various Kickstarter projects. One I received this week I found quite entertaining and would have loved when I was younger; a new and improved version of beer pong. Yep, you read that right. Just love the earnestness of the sales pitch. Under the category of wackiness lets talk about climate change deniers. 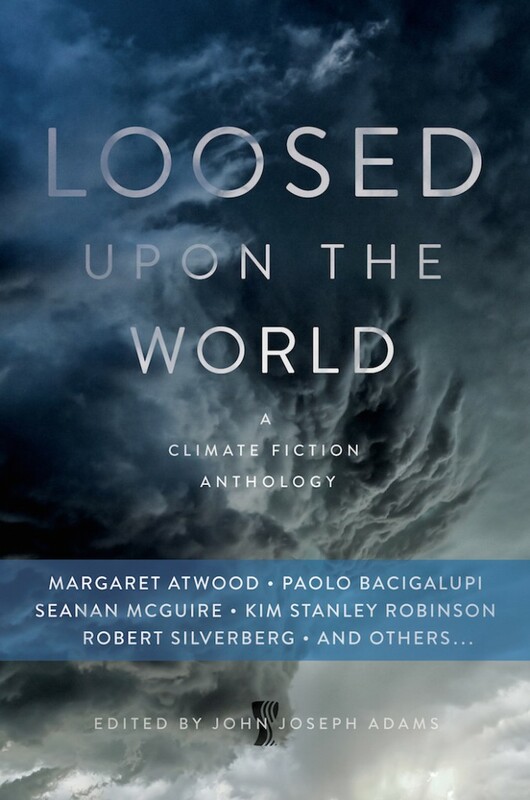 Loosed Upon the World is a terrific anthology just out that, presents a collection of climate change stories. If you know a denier, buy this, and give them a copy and maybe it will scare them out of their complacency. If you spend any amount of time on the Interwebz you undoubtedly use Google. Finding what you want without sorting through pages of results is always a challenge in the category of wonderful here is 10 of the Coolest Google Tricks to make you life easier. In the wacky category I was going to add the just released Gag Reel for Age of Ultron but there was nary a giggle in the whole thing. I just saved you two minutes of your life. Also over at Flavorwire they posted this article Are Grown-up Coloring Books the Future of Publishing? Seriously folks? I like your your ideas and your thoughts, i need it. I just amazed to see this great blog, i got here many useful things for reading. Thanks for share that. Nice blog with relevant information. How long does it take for ibuprofen to kick in? The article is very different, I wait for the next article. Hopefully more succesfull. I outstanding appreciate this informative article. It’s hard to get the best from the bad sometimes, but I think you’ve nailed it! would you mind improving blog website web website with more details. Thanks for this outstanding publish. i think it is awesome and very well regarded out and put together. I look toward studying your perform in the lengthy term. this is actually wonderful details discovered right here, I almost like your blog web page site web page web web page. thank you very a whole lot for the talk about approximately about. keep publishing. The web page going for walking speed stones !. It seems which you are doing any different method. moreover, The truth is masterwork. i am very considering about the occasion released right here, for that i can most efficient say thank you to all those i have evaluate here. That is very nice post and I really enjoyed it. Thanks for sharing with us. I was perusing the furnished article with an incredible intrigue! This post is helpful and useful.